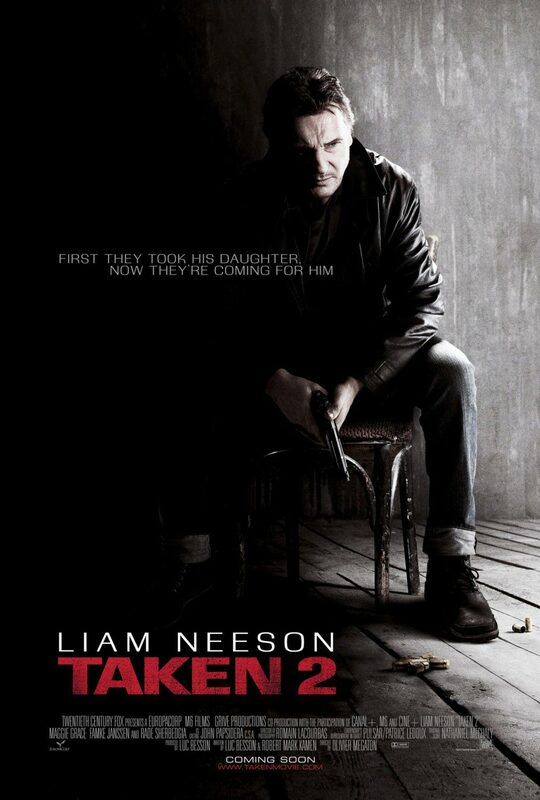 I think it’s useless to try and figure out why “Taken 2” is so disappointing. The film only exists because, after the huge success of the first movie, its studio demanded a sequel. And if their instincts were correct, people will definitely rush to see it this weekend. Fair enough. But if your only choice of success is money well earned, then the sequel will surely be considered a success. Now try and factor quality or at least a decent dialogue into the equation and you’ll know exactly why “Taken 2” is laughable. At least the first one moved like a bullet, and almost never stopped to take a breath; as a result, neither did we. Back then, I couldn’t think of a film that maintained such a breakneck pace or made me so unaware of time flying by. This was beneficial, because the story didn’t always make sense. But when a film is this energetic and entertaining, it would be a shame to spoil the fun by demanding too much of it. Sadly, part 2 isn’t half as energetic as its predecessor. In fact, it has many dull moments and the surprise wears off quickly this time around. The plot is straightforward enough: we all know that Neeson saved his daughter from Albanian kidnappers in the first one. Now the father of one of the kidnappers wants revenge. So he decides to take Neeson and his wife hostage during their family vacation in Istanbul. There’s no point in my telling you more than that, because the plot doesn’t make a lot of sense, and its resolution is even harder to swallow. But hey Neeson is still the best thing here. He brings gravitas and sneaky wit to his role and I’ve always liked that about him. Too bad the movie itself doesn’t live up to its hype. I suspect this sequel, directed by Olivier Megaton. will go down much easier on DVD with a few beers and a slice of pizza. But please enough already. HAYDA FELEM 3ARD 3ADALEIT W ASWAAT MOUSADDASEIT , BI LEBNEIN MAWJOUD BALA EL FELEM .